If Donald Trump's presidency serves as an inescapable reminder of the enduring power of misogyny, racism, and xenophobia, the Women's Marches that took place the day after his inauguration—and the ongoing resistance to the administration, its ideologies, and its policies—reinforced the equally enduring power of intersectional feminism. Now, more than ever, feminist activism and analysis must lead the way and provide empowering visions for the future. Let us never forget that at the moment of our greatest peril, feminist organizers around the country made history by bringing millions into the streets in global resistance to toxic white masculinity. In the midst of all this, feminist scholarship has a crucial role to play. It is of critical importance feminist voices of critique be amplified and proliferated as much as possible. This space is a repository for the work Signs is doing that can be used to critique, historicize, analyze, and teach during the current crisis. Calls for papers for forthcoming issues, relevant publications from the Feminist Public Intellectuals Project, additional interviews, and a forthcoming virtual issue—all will be collected here, in the hopes that they will be circulated, read, taught, and discussed, making feminist scholarship and discourse resonate across multiple platforms and in a wide range of communities as an integral part of the resistance. In the latest Ask a Feminist, renowned scholar and activist Cynthia Enloe sits down with the coeditors of the forthcoming special issue “Gender and the Rise of the Global Right“–Agnieszka Graff, Ratna Kapur, and Suzanna Danuta Walters–to analyze the role that ideas about gender play in the current political landscape, especially the increasing prominence of right-wing political figures and parties around the world. They discuss the extent to which antifeminism and antigenderism fuel right-wing political movements, the gendering of leadership and electoral politics, and the possibilities for transnational feminist organizing and resistance. Dolores Huerta—renowned labor organizer, immigrant rights activist, and feminist advocate—speaks with Rachel Rosenbloom (professor of law at Northeastern University) about the role that gender plays in today's struggles and social movements, especially those working on behalf of immigrants and workers. Drawing on her long history of organizing, Huerta offers insights on the contemporary political landscape—from the #MeToo movement to the fight for the DREAMers to opposition to Trump. Huerta's long history of fighting for social justice serves as a crucial guide for building a sustained and intersectional resistance. Michael Kimmel and Lisa Wade discuss the role of masculinity in the current political moment, including the rise of Donald Trump and white grievance politics in the United States. A preeminant scholar of masculinity studies, Kimmel analyzes masculinity's intersections with racism, sexual violence, and backlash politics. Wade, whose work has critically and accessibly interrogated contemporary gender dynamics, speaks with Kimmel about how the study of masculinity emerged and its importance in understanding the urgent challenges we face. Addressing masculinity's central role in the contemporary US Right, in neo-Nazi movements, and in established US institutions, the discussion underscores the urgent need for feminist intersectional analysis. 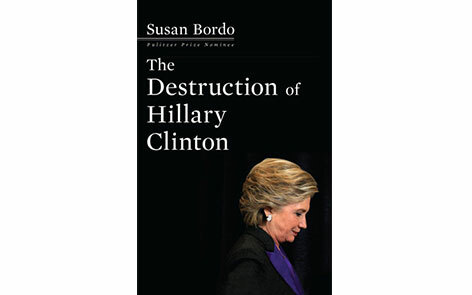 Nell Painter, Carmen Rios, and Marjorie Spruill discuss sexism in the 2016 campaign, Bernie-Hillary tensions, generational divides, and media double standards in this forum on Susan Bordo's The Destruction of Hillary Clinton. Bordo also offers a response and reflection on her work. 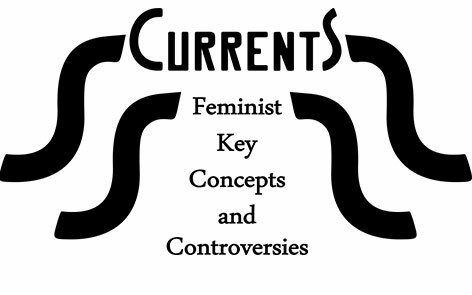 This installment of Currents: Feminist Key Concepts and Controversies features an essay by Signs editor Suzanna Danuta Walters, "In Defense of Identity Politics." Walters’s accessibly written essay engages with critics of identity politics – on both the Right and the Left – to make the case that identity politics and feminist, intersectional analysis are vital to political resistance in the wake of Donald Trump’s election. The essay is also accompanied by a digital archive that collects links to articles, podcasts, videos, and other resources that expand on the themes that Walters elucidates. For a transcript of the interview, as well as additional resources on the January 21, 2017, Women's Marches, click here.